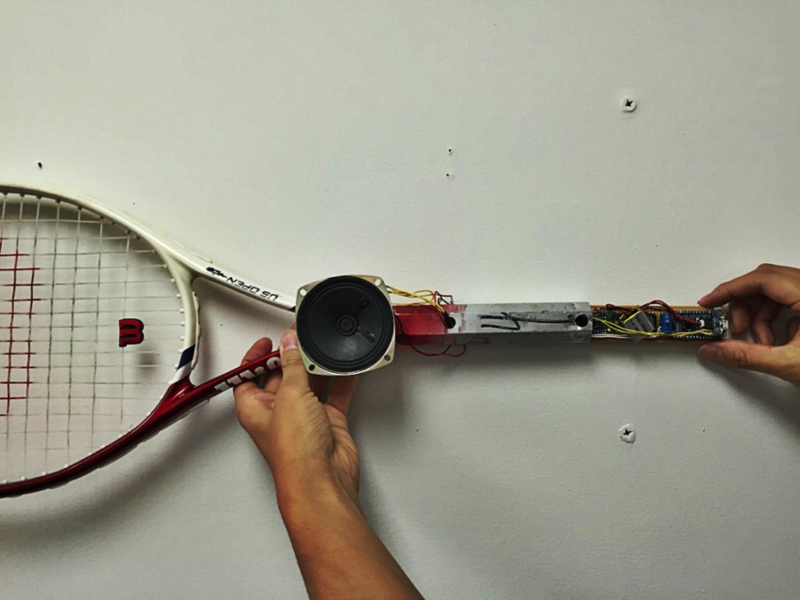 This tennis racket grunts when you swing it #WearableWednesday « Adafruit Industries – Makers, hackers, artists, designers and engineers! Components are accelerometer, LiPo battery, speaker, Arduino Pro Mini, Adafruit Audio FX Sound board, power button, and player selection button. Designed the circuit to house all components in a thin perf board to fit in the racket’s grip. Basically when a value from accelerometer excesses a particular threshold, the sound board will play a tone. You can switch to other players whose grunting you want to hear by pressing a button on the grip. 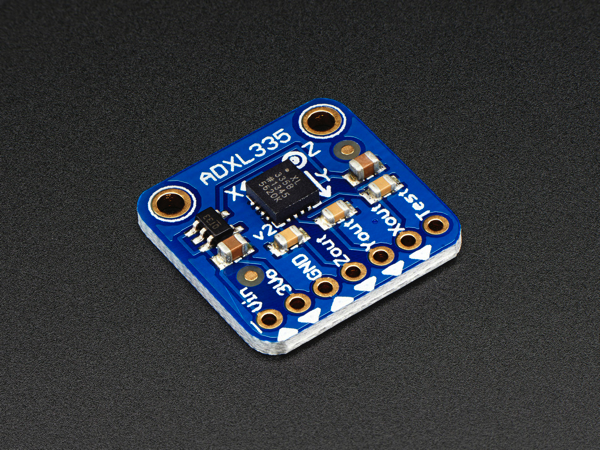 ADXL335 – 5V ready triple-axis accelerometer (+-3g analog out): We’ve updated our favorite triple-axis accelerometer to now have an on-board 3.3V regulator – making it a perfect choice for interfacing with a 5V microcontroller such as the Arduino. This breakout comes with 3 analog outputs for X, Y and Z axis measurements on a 0.75″x0.75″ breakout board. The ADXL335 is the latest and greatest from Analog Devices, known for their exceptional quality MEMS devices. The VCC takes up to 5V in and regulates it to 3.3V with an output pin. The analog outputs are ratiometric: that means that 0g measurement output is always at half of the 3.3V output (1.65V), -3g is at 0v and 3g is at 3.3V with full scaling in between. Read more.